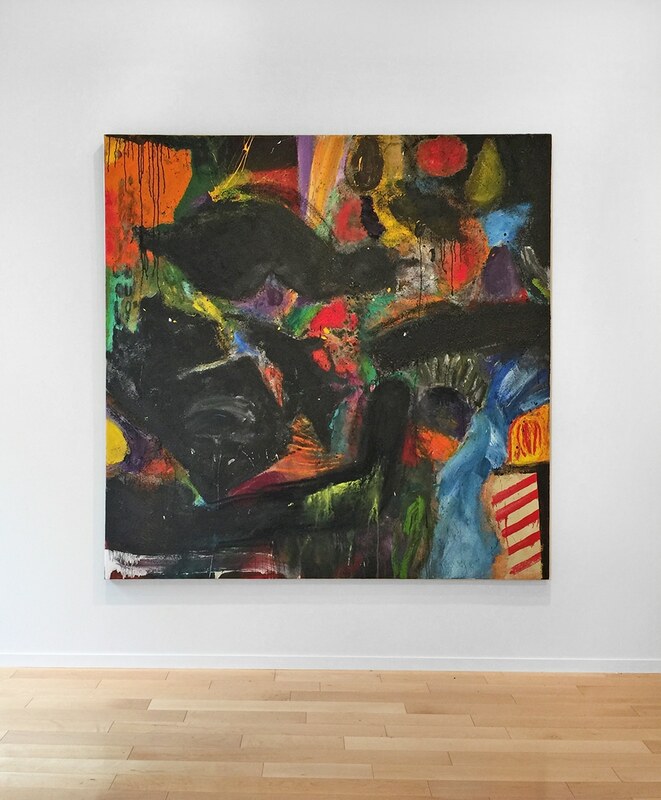 Jim Dine is known for his timeless iconography; hearts, robes, and Venus de Milo are just some of the themes strongly associated with the artist’s vast oeuvre. 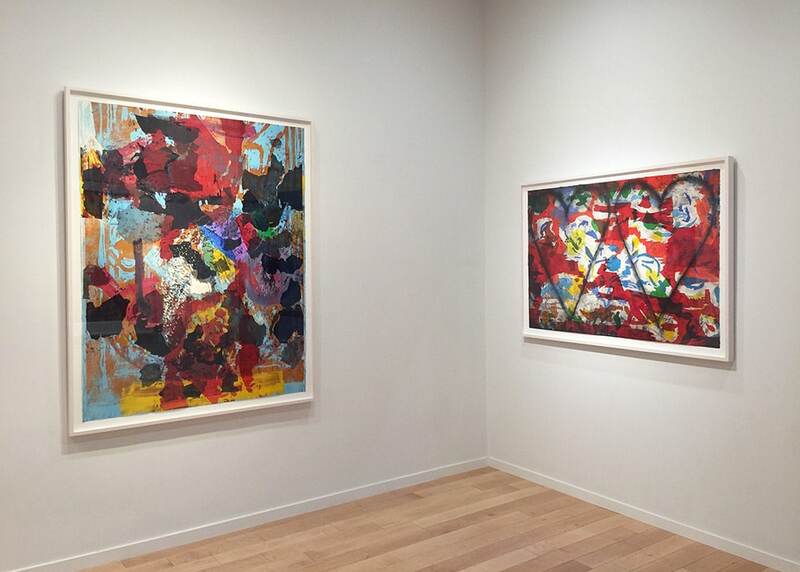 At the age of 81, the artist is passionately revisiting one of the most influential movements in Post-War art: Abstract Expressionism. 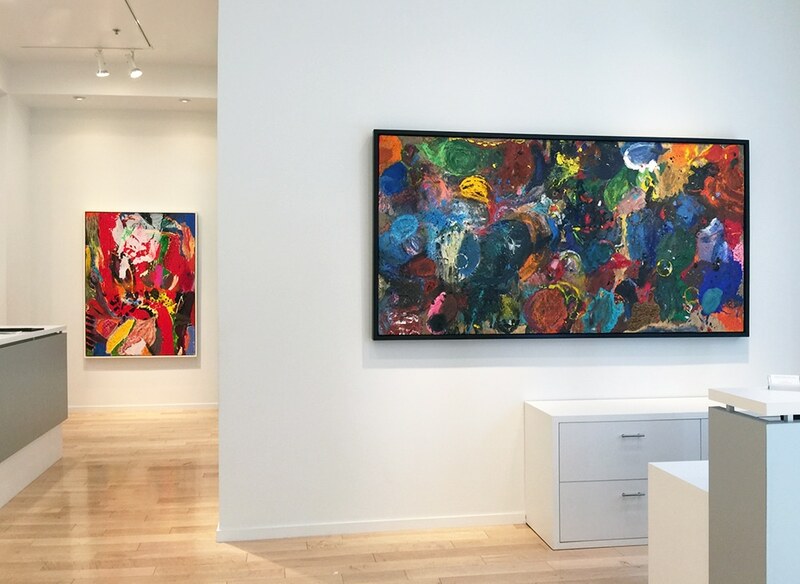 Within Jim Dine: Abstraction, a wide array of recent paintings and graphics demonstrates the artist’s journey into his new aesthetic. 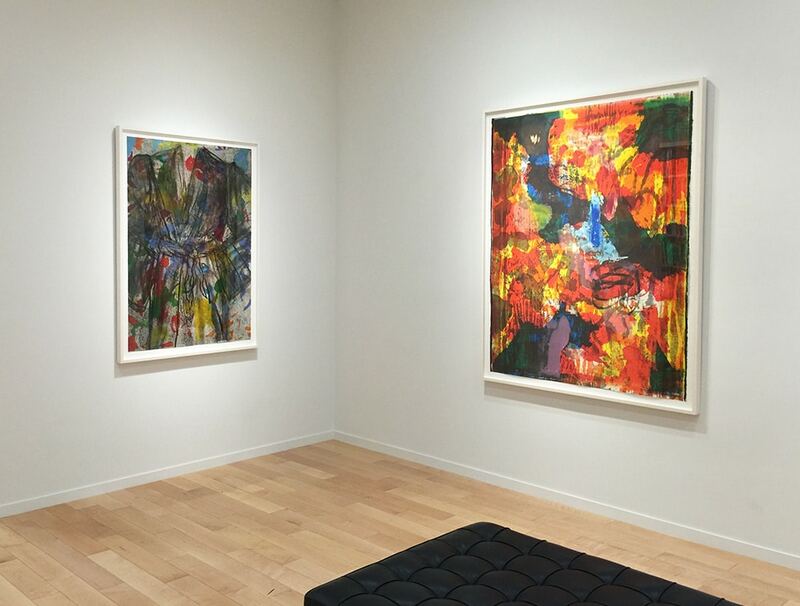 For much of Dine’s career, hints of abstraction could be found in the backgrounds of his works. 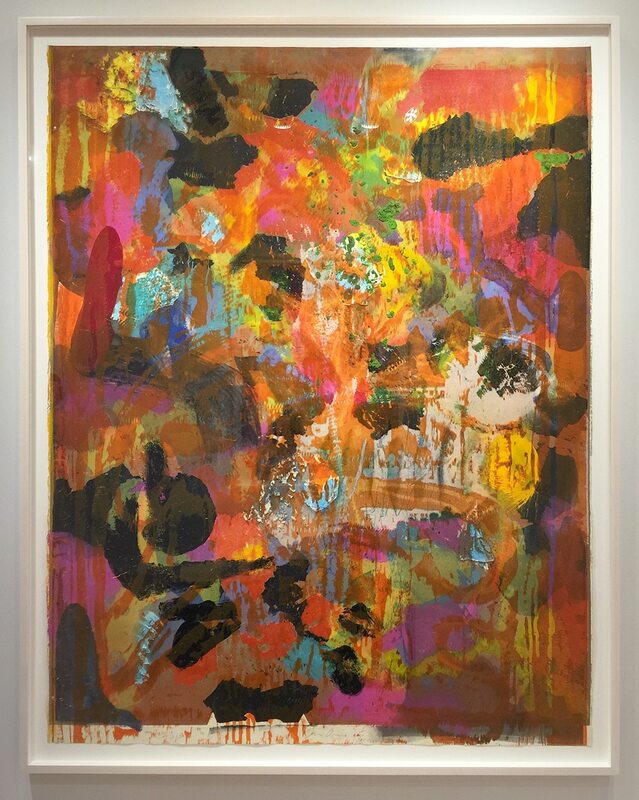 In the last decade there has been a greater focus on the strength and intensity of background abstract elements, causing the representational imagery to pop out on the surface. In Dine’s newest work, we witness the background abstraction, so inherently captivating, moving to the foreground and taking center stage. 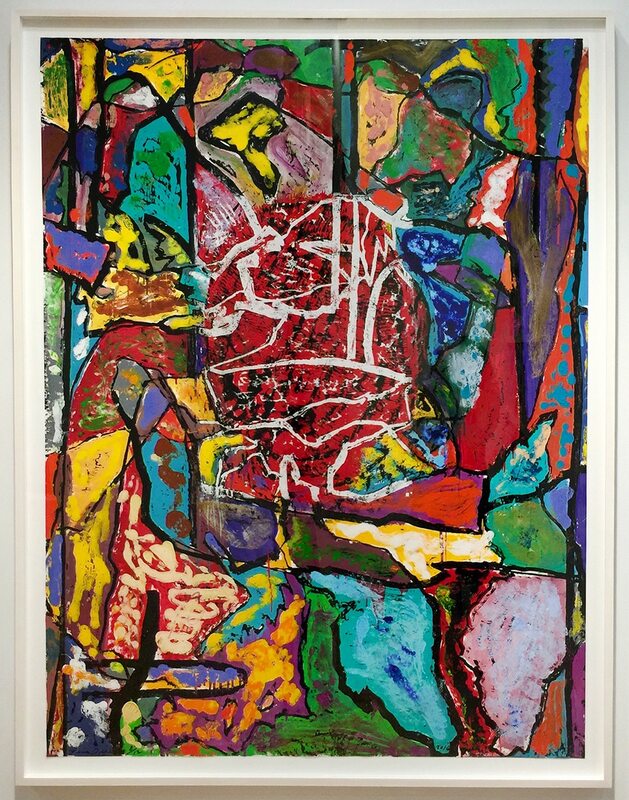 Dine invites us into a complex, mysterious, and colorful journey of beauty in his exploration of abstraction. 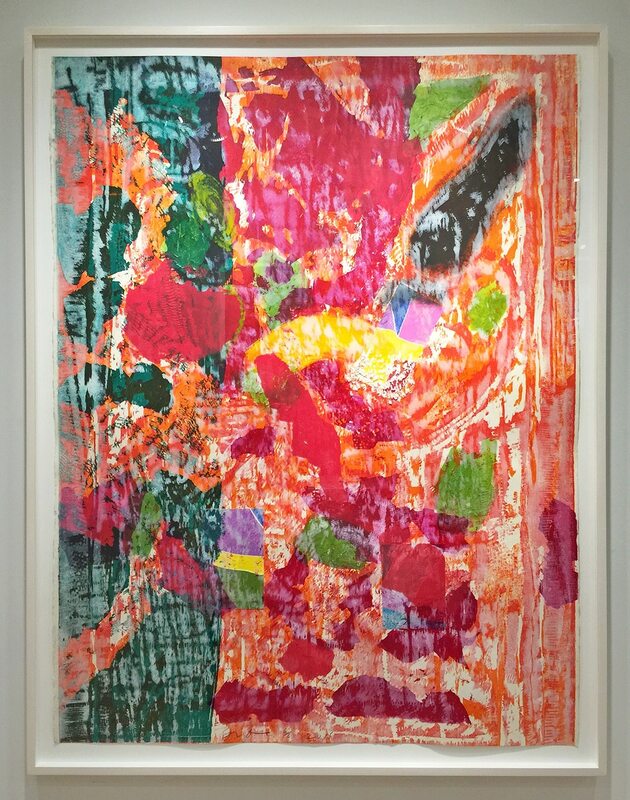 The canvases in this exhibition present Dine’s recent work with confidence and joy; they are filled with vivid color, texture, and dimension without reference to his prior imagery. 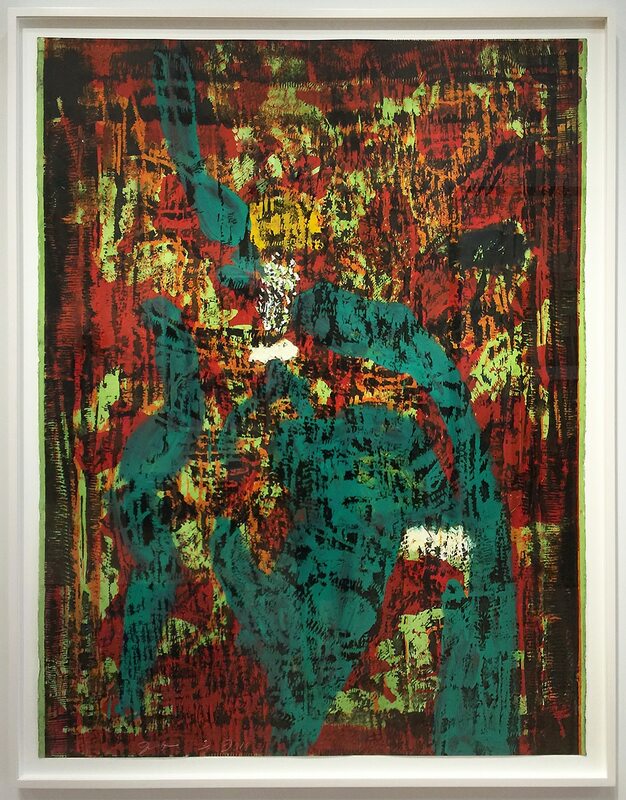 Throughout Dine’s career, the artist has also been an avid printmaker enthusiastically approaching the art form out of his love for the process. 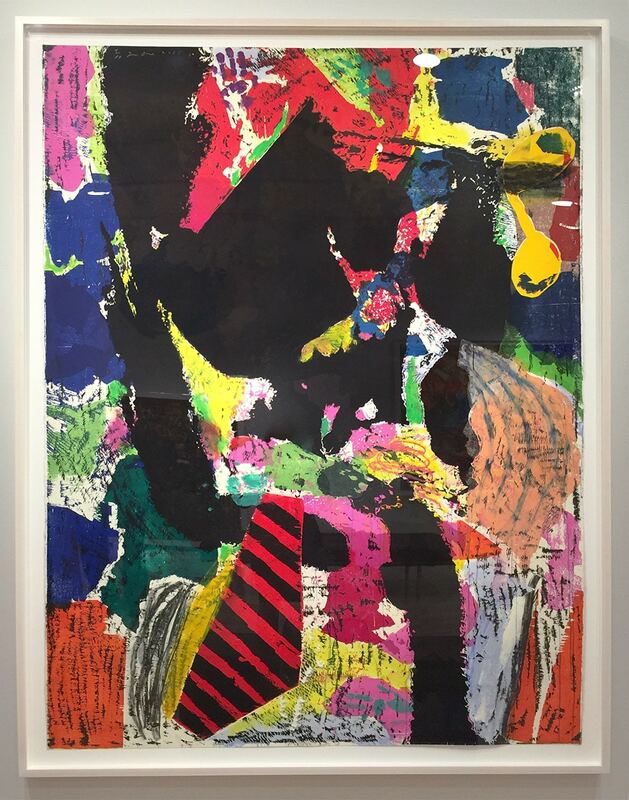 In his new body of abstract graphics, Dine has proven fearless with his experimentation of composition as well as techniques used to create the finished work. 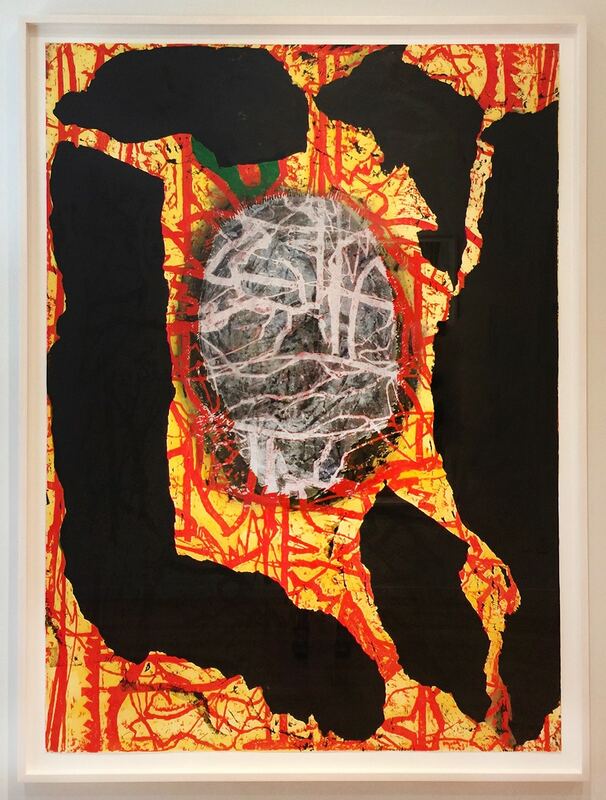 The artist has inventively used unlikely methods: power-tools, coffee grounds, India ink, and thickly collaged elements in order to give each of his compositions the impact of a unique work, with each impression heavily worked by the artist’s hand. 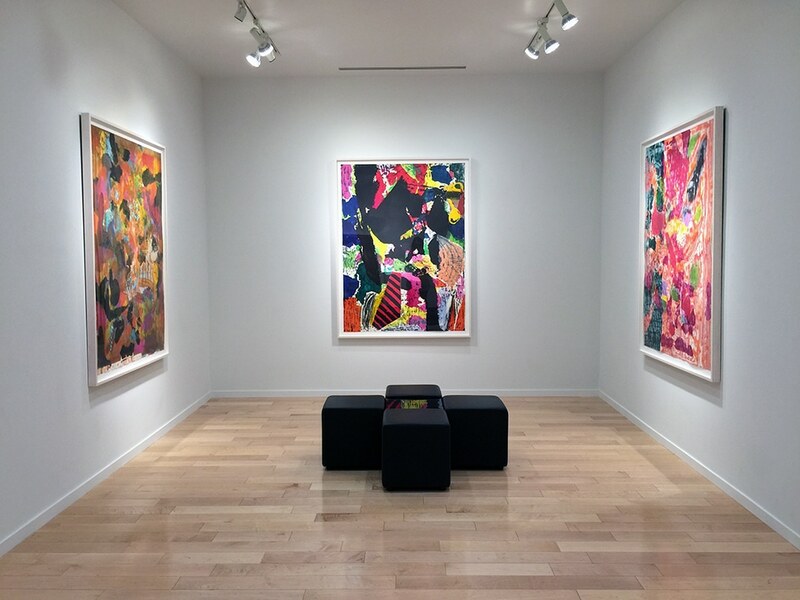 Dine’s most recent work is the birth of uninhibited expression and discovery. These creations make a powerful statement about the artist’s continuing growth and spirit of adventure. 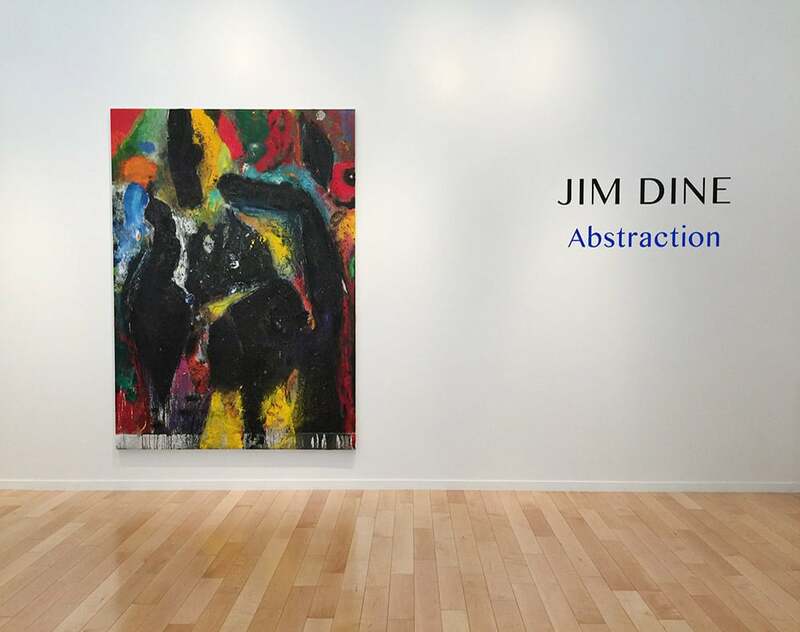 Dine’s large abstraction transports us into a new realm of color, surface texture, composition and form.